But that is just a small sample of the accomplishments the new winners of the THOMASNET.com® and ISM® “30 Under 30” Rising Supply Chain Stars have managed to complete in their short time in the industry. These stars have proven to be ahead of the curve and a beacon of hope for the industry. Already equipped with the tools they need to be leaders, they will join our past winners in revitalizing the marketplace in a significant way. 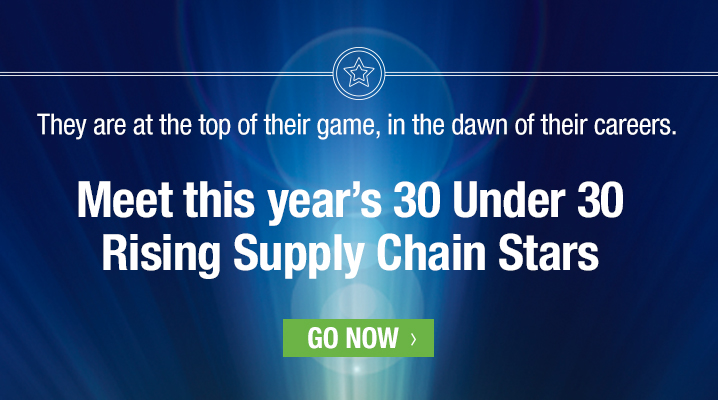 The “30 Under 30” Rising Supply Chain Stars program was founded by THOMASNET.com and ISM to help provide role models and inspiration for millennials entering or currently in supply chain careers. Additionally, the program serves as a tool to battle the talent shortage by attracting the 75% of millennials expected to be employed by 2025 to the supply chain profession. These winners come from all different walks of life, covering multiple industries and career paths. Averaging at the age of 27, they are making a difference in industries from education, financial services, and medical devices, to information technology, oil and gas, and government. All of the winners receive a one-year membership to ISM; a free pass to ISM’s 2016 annual conference, May 16-18 in Indianapolis; and a free THOMASNET Supplier Discovery Lunch and Learn session for them and their colleagues. These tools should help them continue impacting the industry in a positive and meaningful fashion. So what are you waiting for? It's time to meet the winners.